1.what level does dratini evolve into dragonair? 2.what level does dragonair evolve into dragonite? 3.how do you get celebi????? HI, what level does dragonair evolve into dragonite? I accidentally cancelled my Dragonair's evolution at LV55,so will it e..
At what level does pikachu evolves in leaf green????? 1) What level does Slowpoke Evolve? 2) What Pokemon does The Leag.. Does Haunter evolve into a Gengar, if so, what level, because my Haunt.. I have the answers that you need. Dratini evolves into Dragonair at level 30. Dragonair then evolves into the mighty Dragonite at level 55. To get Celebi, you either need to use an Action Replay, Gameshark, or trade someone for a Celebi. 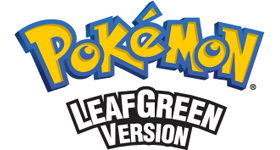 They no longer hold Nintendo Events for Pokemon Leaf green, so you need to use one of the things I told you above. So, it is possible to get dragonite without trade? To get celebi you have to get the whole national dex. (not from ruby or saphire) and then go talk to oak he will battle you and if you win he�ll give you celebi hope I helped. You unlock it after catching 60+ Kanto Region Pokemon. Oh jhoto league pokeodex needs! Stage 2 is at 30 and stage 3 is at 55 and you can't get celebi. Dratini becomes dragonair at about 32 and dragonite at 55 and I suggest training dragonite to about 61 or 62 to get outrage. There are many theories about celbie though I'm not sure which is corect. Do you mean Mewtwo first? If not your question dos not make sense and if so o you don't. Or by trading with someone who has. If you use hacks or codes, mew will supposedly be disobedient and will not listen to you, also, there is no code to make mew obey you. There is one cheat where mew will listen but in all of the other hacks- even if you have all the gym badges - Mew will not listen to you. Dratini evolves at lvl 30 and Dragonite at lvl 55 and to get celibi you need to complete the nation dex which includes mew and then you talk to prof. oak and he will battle you then he gives you information on how to get to celibi in cerulean cave. Hope this helps!! 3) By Pokemon events or AR codes. I only have Pokemon Heartgold. I got my Dratini (Level 15) from the Sensei at Dragon's Den. After alot of training and a couple battles with the Exp. Share, my Dratini finally evolved into a Dragonair at Level 30. I battled the Elite Four at Indigo Plateau and beat most of the Gyms in Kanto Region. My Dragonair evolved into the mighty Dragonite at Level 55. After that, I got him to Level 61 so that he could learn Outrage. It rules! To obtain Celebi, you must complete your National Dex and talk to Professor Oak. He will give you instructions on how to find Celebi in the Cerulean Cave. To evolve dratini into dragonair, you will have to level it up to level thirty. To evolve dragonair into dragonite, you need to level dragonair up to level fifty five. I tried to make that as simple as possible and I hope this helps! You can get Celebi through Action Replay, I am sure we have a cheat for it in the Action Replay Code section for this game. You can't get celebi any more as thee are no more special event for LF. Ok lison to me becuse iv been playing the game seens the first game, ok Dratini evolves at lv 44,& Dragonair evolves at lv 55. The only way you can get Celibi is by Gameshark. You can get celebi in an egg from one of 7 islands. Theres an area you need to surf to the left. There are a lot of stone decorations made it look like there is no way but surf through them you will find a man. If tou have no slot for the egg he will tell you to come again when you have a slot. Does Dunsparce evolve? If so, what does he evolve .. Does Haunter evolve into a Gengar, if so, what level,..
How do I get Pichu to evolve in Leafgreen? I have it ..
Catch Any Pokemon u would like in th..